Dwayne Johnson, also known as The Rock, has become a worldwide phenomenon in recent years. The 46-year-old has risen to prominence in recent years thanks to his impressive Hollywood acting career. 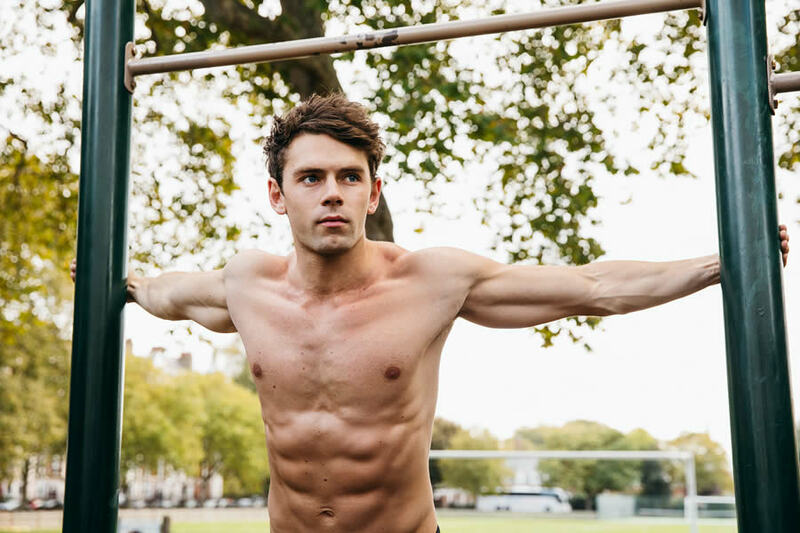 He has attracted a huge following on social media, and much of his content revolves around his training and fitness work in the gym. Many people often look at the results The Rock achieves when it comes to his personal fitness and wonder which supplements he uses regularly. 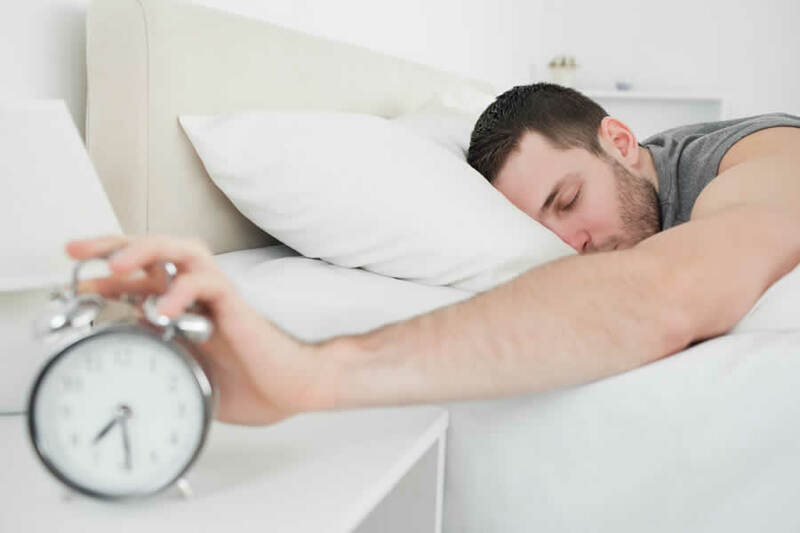 Before we get into the answer to that question, we should point out that sticking to a good diet, exercising regularly and getting plenty of sleep should always be your first ports of call before thinking about using any supplements at all. Supplements shouldn’t be used to cover over an unhealthy lifestyle. 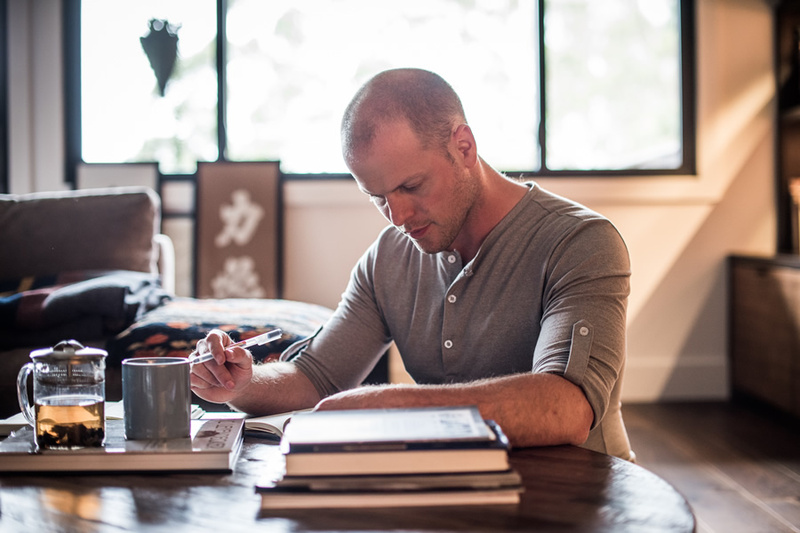 It’s important to get the basics right first before buying and trying any supplements. That being said, many people choose to take fitness supplements to support their overall body goals. This article is going to focus on the supplements that The Rock uses by taking a look back at what he has said about gym supplements in the past. • Who Is Dwayne Johnson? • What Supplements Does Dwayne Johnson Use? So, now that the introductions are out of the way, it’s time to start taking a closer look at the supplements that Dwayne Johnson uses. You probably already know all about The Rock, but let’s cover his story briefly as an introduction. Dwayne Johnson, also known as The Rock, is an American actor, producer, and semi-retired professional wrestler. He first rose to prominence in the WWE in the 1990s and he has since forged a successful career as an actor in Hollywood. The Rock has attracted a huge following on social media and has one of the most followed Instagram accounts in the world. You can find out more about Dwayne Johnson in our dedicated biography page. If you follow The Rock on Instagram, you’ll probably be familiar with the way he promotes a healthy overall lifestyle. 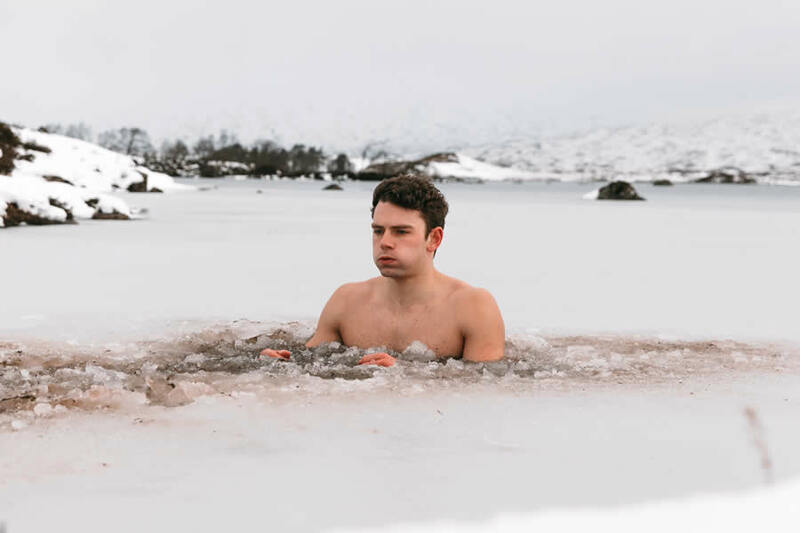 He regularly posts pictures and videos of himself working out in the gym, and his results are nothing short of remarkable. His physique is incredibly impressive and it’s no wonder that people are looking to find out some of the secrets of his success both inside and outside of the gym. Of course, his impressive gym routine and results often gets people curious about the supplements he uses on a regular basis. So, let’s move on to that question now. What Supplements Does Dwayne Johnson Use? Before we get started here, it’s important to stress that there is no official answer to exactly which supplements The Rock uses. The following information below has been compiled from what Dwyane Johnson has said about the supplements he uses over the years on social media and in interviews with various publications. You should not assume that just because he has said something about certain supplements in the past, that he continues to take them, or endorses them in any way. So, with that out of the way, let’s take a look at what The Rock has said about the supplements he uses in the past. The Rock appears to be a fan of Optimum Nutrition supplements. 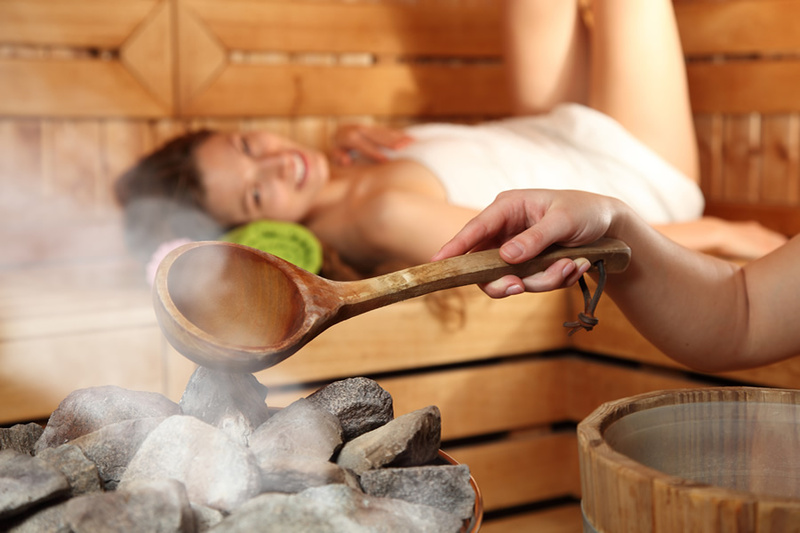 They are a US-based brand and are one of the biggest names in the fitness supplements industry. 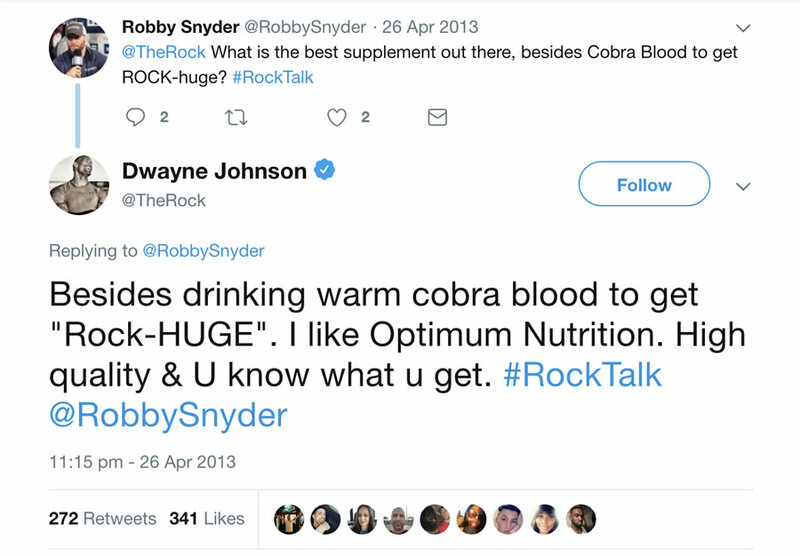 Back in April 2013, The Rock was asked on Twitter by one use which supplements he likes. His mentions of Optimum Nutrition products do not stop there. 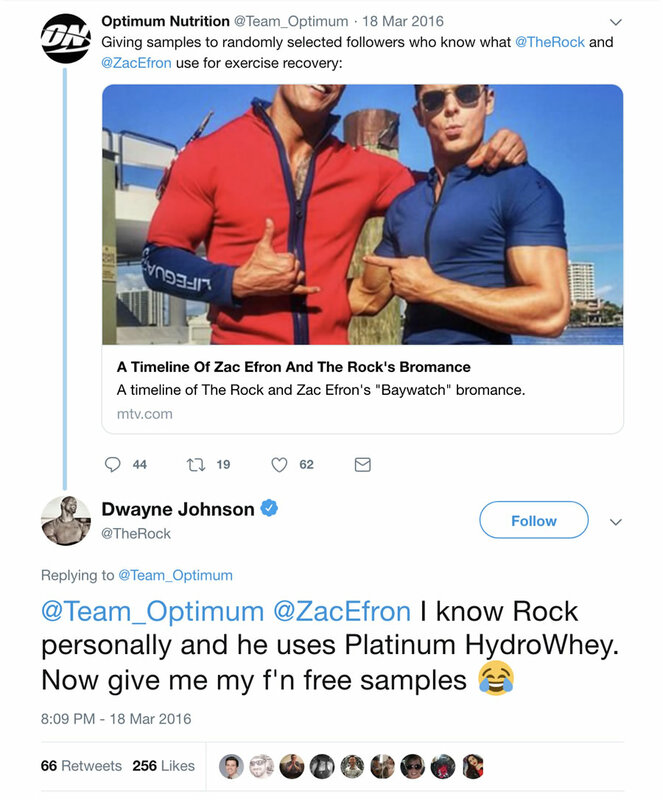 Back in 2016, The Rock replied to a tweet from the official Optimum Nutrition account, as he revealed which whey protein supplement is his favorite. 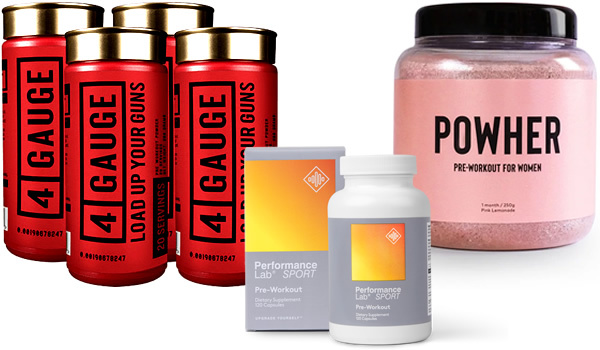 We've picked out the top three leading pre workout supplements on the market right now. 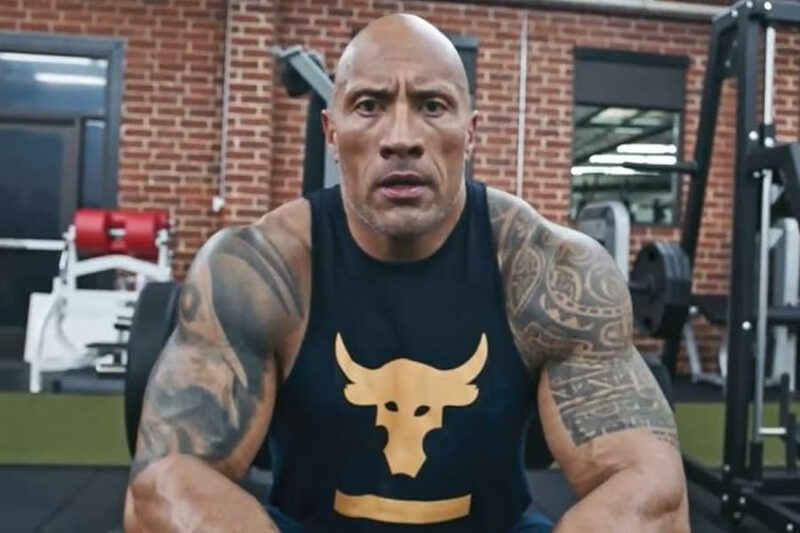 In an official tweet, Optimum Nutrition promised to give away samples to people who correctly guessed which supplements The Rock used for recovery. And The Rock chimed in with a brilliant reply, which included his pick of Optimum Nutrition’s Platinum HydroWhey as one of his favorite supplements. So, what other supplements does The Rock take? Well, in an article published on bodybuilding.com back in November 2018, The Rock revealed a number of other supplements he has taken in the past. 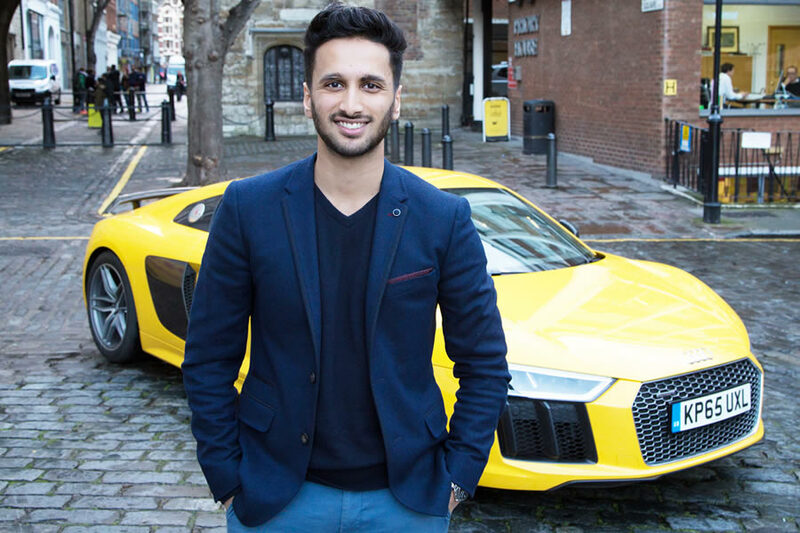 In the article, he explains how his diet and training regime has evolved over the years. “It was all about hard work, discipline, and balance. I had carbs with every meal, so there was always a balance of proteins, carbohydrates, and fats. So, are there any other supplements that Dwayne Johnson uses? In an article published on the Muscle and Fitness website, The Rock reveals that he also takes Optimum Nutrition’s Amino Energy. 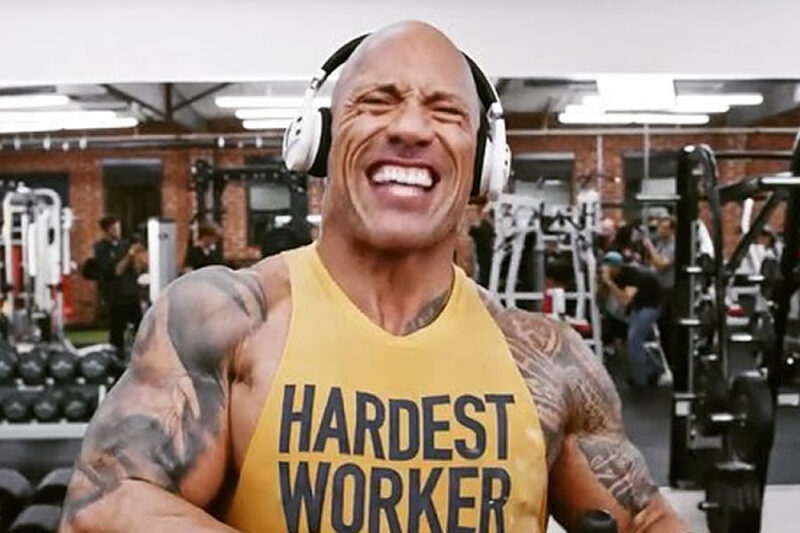 The Rock has also spoken about pre workout supplements on social media multiple times, although he has not specifically mentioned one product by name. Some people choose to take Optimum Nutrition Amino Energy as a pre workout, so perhaps that is his supplement of choice before hitting the gym. So, to wrap things up, here are the supplements The Rock likely takes regularly, based on what he has said about them in the past. One thing is for sure, it’s not a surprise that loads of people are interested in the supplements taken by The Rock. Standing 6ft 5in (196cm) tall and weighing 260lb (118kg), it is clear that Dwayne is doing something right when it comes to his workout and nutrition regime. As we mentioned at the start of this article, we are big fans of the fact that The Rock regularly underlines how important hard work has been on his journey. 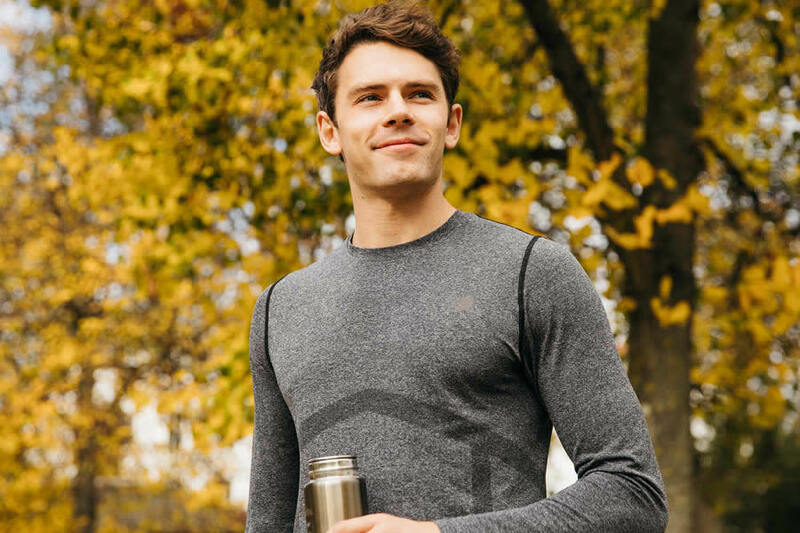 It’s important to realise that training hard and eating the right things should always be your ports of call before thinking about any kind of supplementation. If you take a look at Dwayne’s Instagram page, for example, there can be no doubting about the hard work The Rock puts in to get his incredible physique. It all starts with the right nutrition and workout plan. Supplements can help to give you a boost to support your goals, but they will not do the hard work for you. 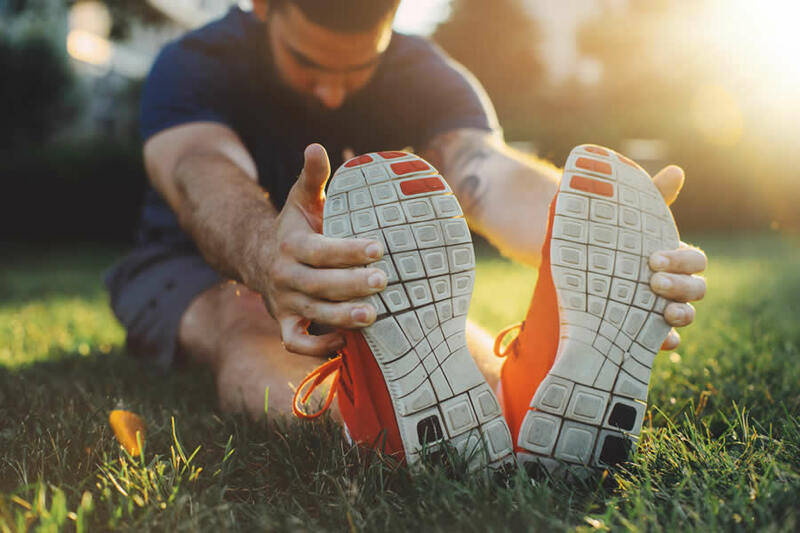 Sticking to a good diet, training hard and getting plenty of rest should always be your first priority before thinking about buying and trying any supplements. 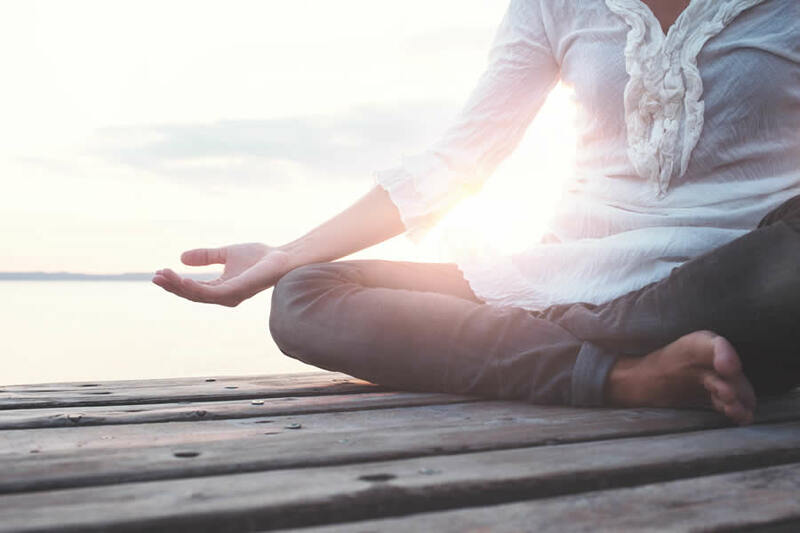 We also strongly advise that you speak to a certified medical professional before trying any new supplements for the first time. 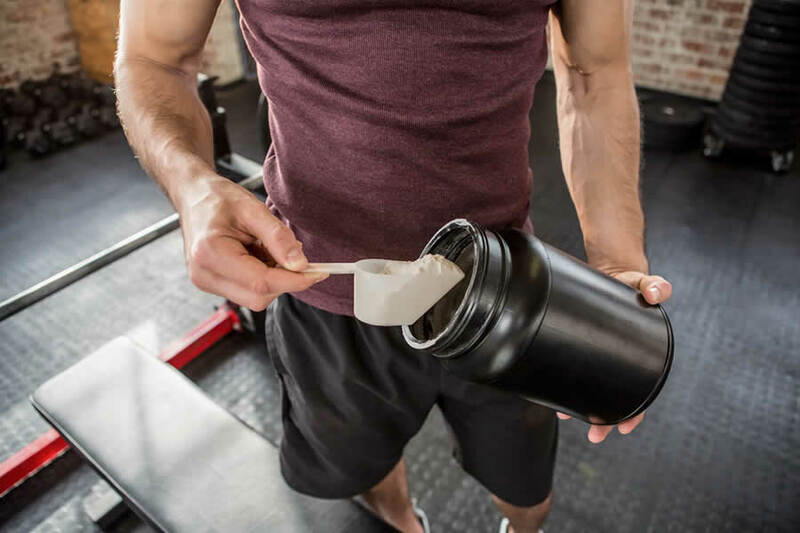 You should also carefully check the ingredients label before taking any supplement to make sure that you are not allergic to any of the substances used. 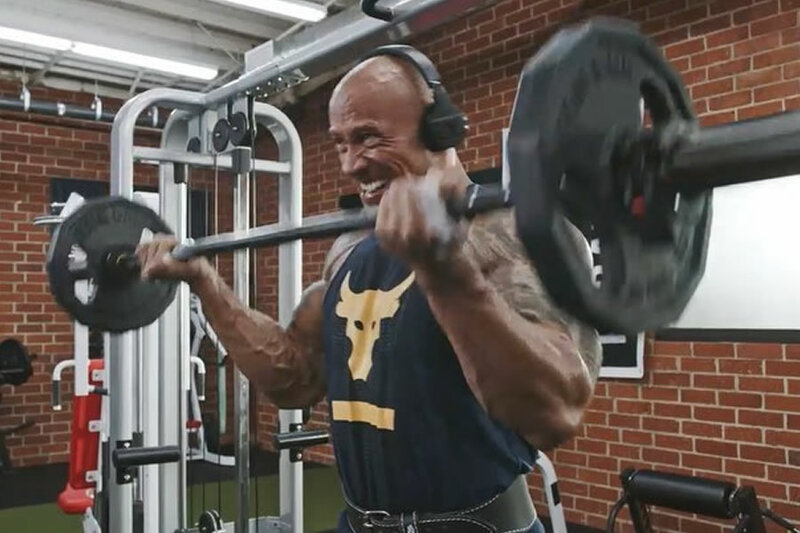 We’ve walked you through the supplements that The Rock likely takes on a regular basis to help fuel his success inside and outside of the gym. Dwayne Johnson is something of an icon when it comes to his physical health, and his Instagram page is full of workout routines and training tips. Although there is no official answer to the exact supplements The Rock takes on a daily basis, we can make some pretty good educated guesses based on what he has said on social media and in some interviews in the past. The Rock has spoken on social media in the past about which products he uses and he is clearly a fan of the US-based brand Optimum Nutrition. 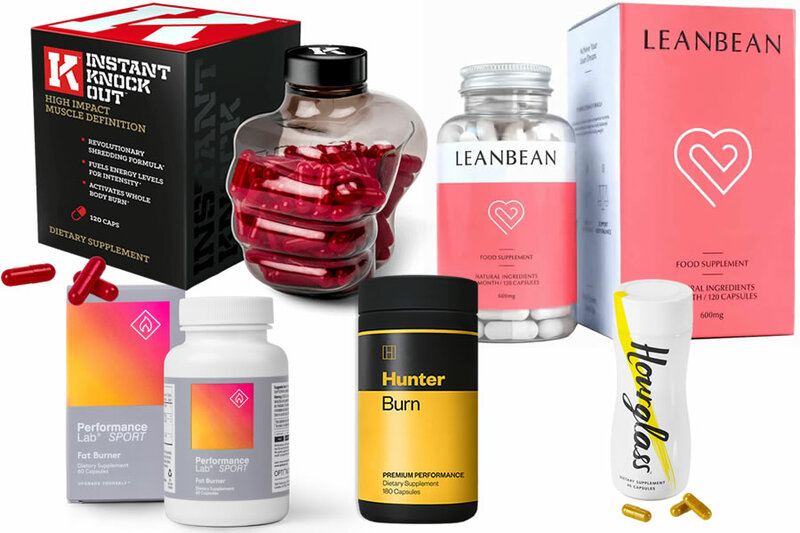 We picked out the top supplements that Dwayne is likely to use on a regular basis based on what he has said about them in the past. However, you should always remember that sticking to a good diet and training hard should always be your first priorities before thinking about getting any supplements. 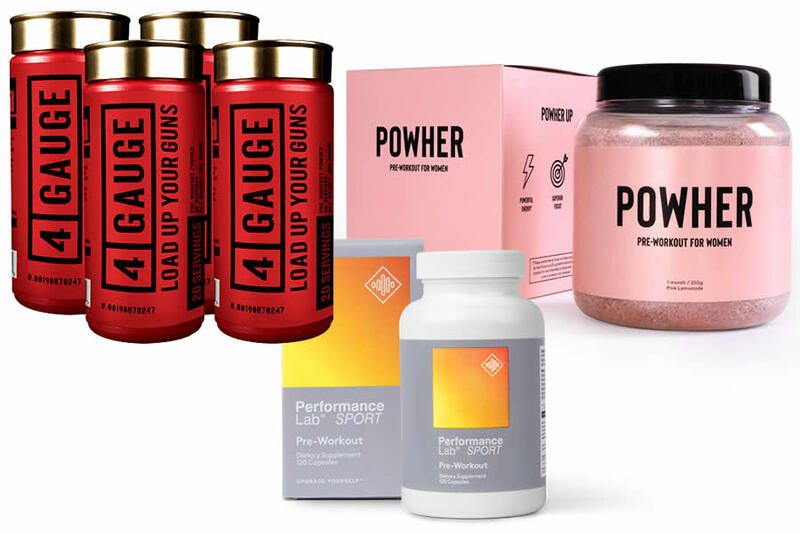 If you’re looking for a pre workout supplement to help support your gym and workout goals, be sure to check out our dedicated guide by following the link shown below.